Mothership HackerMoms is a women’s makerspace in Berkeley, California, just across the Bay from San Francisco. Its aim is to provide a community and co-working space for women with childcare responsibilities who otherwise would find it hard to have time to work on their own projects and may end up staying at home and becoming isolated. MHM opened in 2012—making it the first women’s makerspace in the world—and has been featured by publications including the New York Times. Its 15 members are mainly mothers, although they’re open to members of all genders and have also had some members who are dads or non-parents. As with other volunteer-organised makerspaces, all of the members also contribute to keeping the space running. 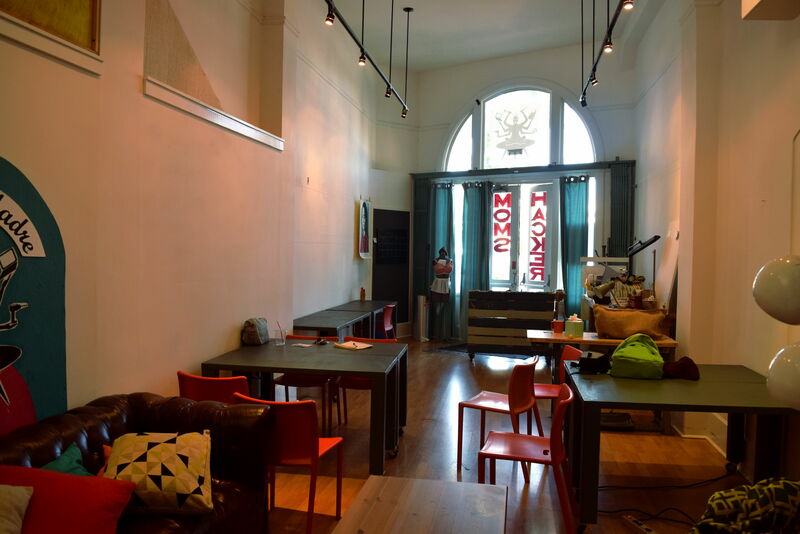 The most unique feature of MHM is that it provides childcare and a playroom so that members can bring their kids with them to the makerspace, as well as a private space for breastfeeding if people choose to use it. 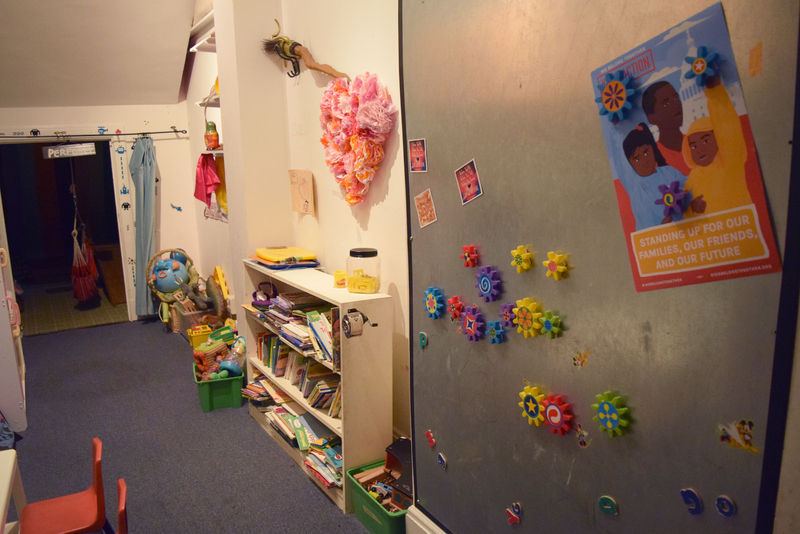 Although their members get access to a childminder at the space, it aims to be a place where mothers can work alongside their kids as well as other women (rather than just getting the kids out of the way so they can work in peace). Most of MHM’s members are artists, craftspeople, or entrepreneurs, although some also work in technology. One of their most popular activities is a weekly Failure Club that challenges participants to try out a new project or set a new goal that they might well fail at, but where they’re supported to take small steps to achieve what they set out to do. Members also run other skills-sharing workshops, although these are mostly only for other members to learn from each other. MHM holds open houses twice a month for prospective members, who can apply for membership by providing two personal references to ensure they’ll be a good fit for the space’s friendly culture. Membership costs $80pm but they also offer sponsored memberships that provide up to 50% off membership if people can’t afford the full price. Childcare is an extra $10-15 for a 3-hour session, with discounted monthly childcare packages available.